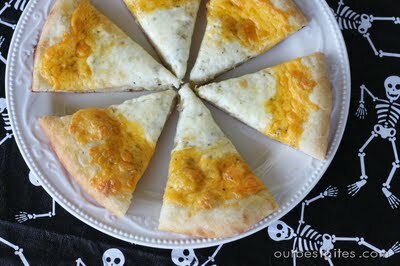 If you have younger kids that might not want to try freaky food for Halloween dinner or if you are just looking for a family friendly recipe that won't take you all day, Halloween pizza is an idea that kids young and old will love. 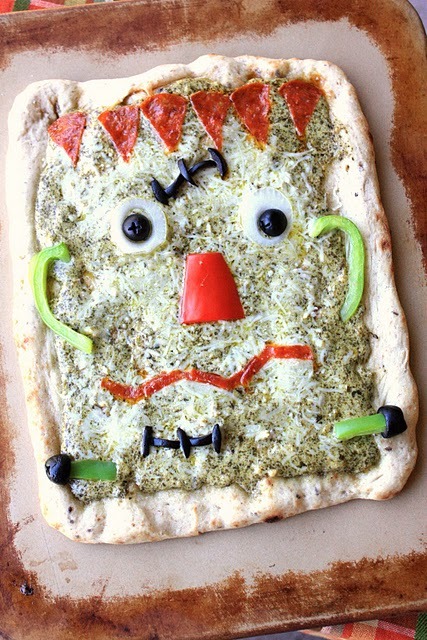 Munchkin Munchies created this Frankenstein pesto pizza that Miss Ruby has declared will be eaten on her birthday. There is a tutorial for a cute owl pizza too, but I personally don't consider owls Halloween creatures. 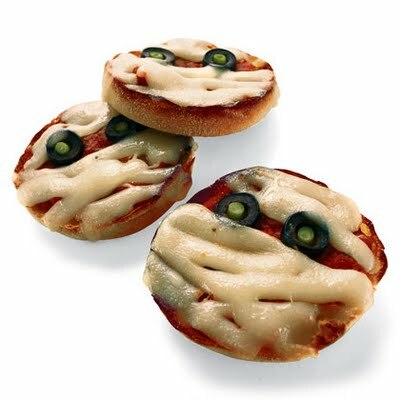 If you have big plans for your Halloween dinner, but are looking for something easy to serve just the little ones, we use these individual Mummy Pizzas for the kiddos that can't find anything else they are brave enough to try. You can make spider web pizzas using English muffins too, which would be fun in the kids lunchbox fun Halloween. 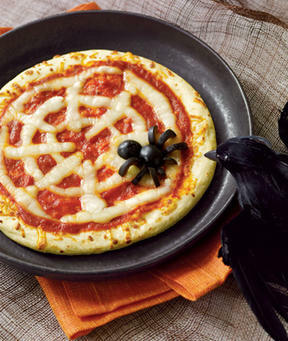 We used the black olive spider on our Halloween 7 Layer Dip last year too. 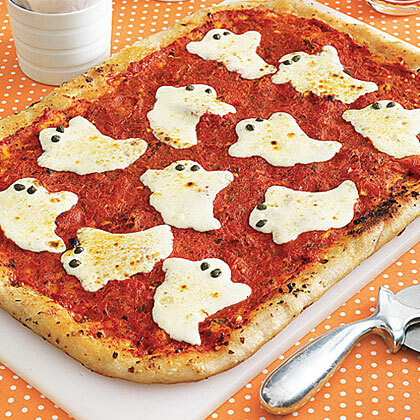 Top your favorite pizza recipe with mozzarella ghosts or use this Ghostly Pizza recipe from All You. Our Best Bites used some cheddar cheese to create a fun candy corn pizza. 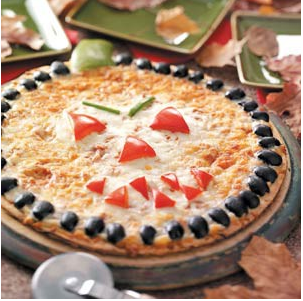 If you like a lot of veggies on your pizza, this jack-o-lantern pizza from Taste of Home will be one your family enjoys. You can even have the kids build him. 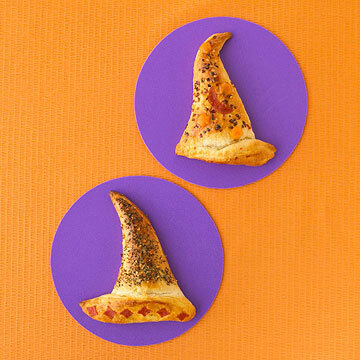 And not really pizza, but I felt like the collection needed some witch hat calzones. Pick your favorite or have a Halloween pizza bar and let people make their own creations.